“Sherlock – Many Happy Returns” is a short mini-episode for fans of the BBC series returning for the next season. BBC released “Many Happy Returns” to provide a sense of what’s been happening to the characters in the two-year gap between the seasons, a time in which Dr. Watson and Detective Greg Lestrade both believe Holmes to be dead. The popular modern day take on Arthur Conan Doyle’s iconic detective season three premiered in the U.S. on PBS on January 19th at 10pm. 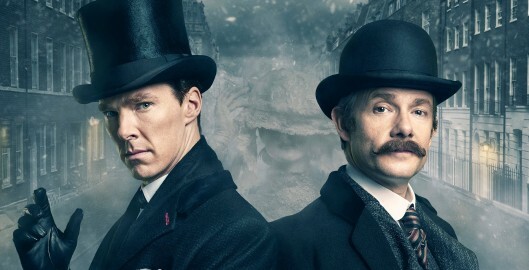 “Sherlock: The Abominable Bride” will premiere on January 1st, 2016 in both the U.S. and the U.K., the first time a new chapter of “Sherlock” will air in both countries on the same day. Created by Mark Gatiss and Steven Moffat. Starring Benedict Cumberbatch, Rupert Graves and Martin Freeman. Return to Thumbnail View.